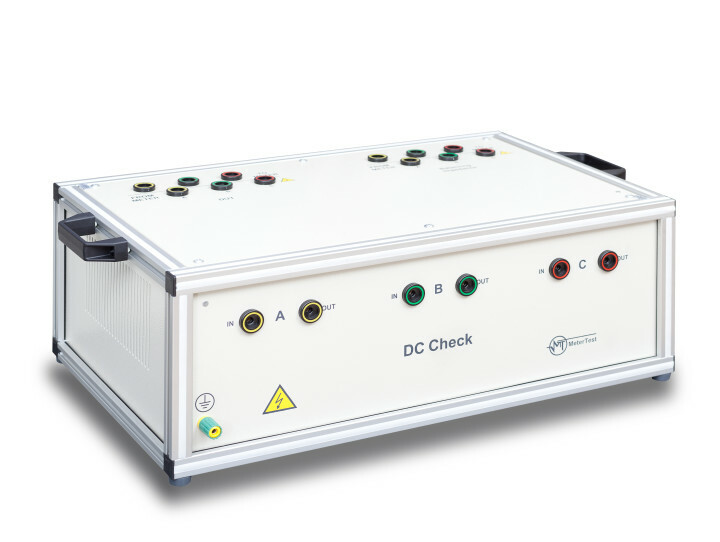 With the DC Check direct current check module, it is possible to test for and determine the effects of direct current and even harmonics, and is designed according to the schema presented in the IEC 62053-21 and IEC 62053-23 standards. Any number of meters under test (MUT) can be connected to the DCCM in series but they should be balanced by an equivalent impedance that is equal to the impedance of all MUTs. Typically, devices of the same type as the MUT are used as the balancing impedance. Maximum current through the DCCM should not exceed 120 A.